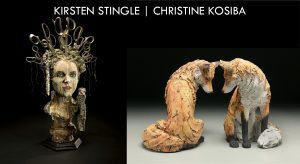 We are excited to invite Christine Kosiba and Kirsten Stingle to the atelier to co-teach a 5-day figurative sculpture workshop in 2019. Students will benefit from the unique expertise and approach that each of these accomplished sculptors brings to the workshop. Mythologies are an essential narrative feature of every culture. They convey belonging, shared experiences, and explore behavioral models and lessons. 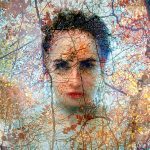 In this five-day workshop, Christine and Kirsten will guide participants in expanding their narrative vocabulary, combining human and animal sculptures to create their own mythologies. Proportion and anatomy will be covered as well as the power of gesture and expression in storytelling. Students will learn to build large and small forms and then deconstruct them in order to construct their own narrative sculptures. 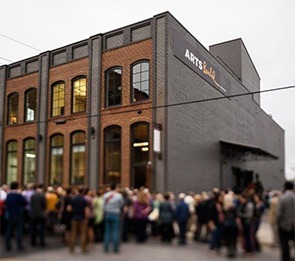 This workshop will also demonstrate different building styles and techniques that participants can adapt for their own studio practice. There will be a one-hour lunch break each day. Feel free to bring your own lunch or enjoy plenty of dining options nearby. For students traveling from out of town, if you need help with accommodation suggestions, feel free to contact us and we will be happy to help! Click here for materials list. Christine Kosiba is a full-time ceramic and mixed media artist residing in Brevard, NC. 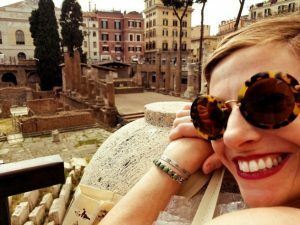 Christine earned her BA and MA in Education and taught in the public school system for twelve years before pursuing art full time. During that time, Christine worked with students with emotional and behavioral challenges and found clay to be a powerful tool in her classroom. 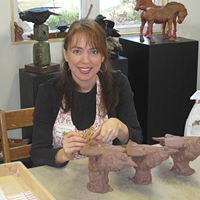 Ceramic studies allowed her class a creative, healing and expressive outlet. 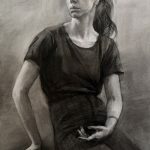 Christine carried on her love of teaching into her studio practice by teaching workshops and classes. 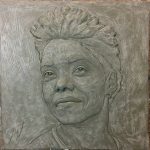 Christine works intuitively, allowing the sculpture to develop organically from clay coils and slabs of clay. Sculptures are fired multiple times with layers of color applied in a painterly fashion to achieve surface depth and interest. Found objects may be incorporated if they enhance the narrative of the piece. Each piece has its own evolution and story which guides its ultimate form and finish. Christine’s ceramic sculptures can be found in high-end art fairs, exhibitions, gallery representation, private collections, and publications. She is a member of the Piedmont Craftsmen Guild and Southern Highland Craft Guild. Kirsten Stingle’s sculptures respond to a modern paradox: a wired and globally connected world that creates individual isolation. Working in the genre of narrative ceramics, Kirsten fuses her richly detailed porcelain figures with mixed-media to further our understanding of ourselves, others, and our place within the contemporary world. She strives to reveal human commonalities, exposing layers of both light and shadow that thrive underneath our polite societal veneer. Kirsten also uses antique relics to further the narrative and remind the viewer of the inescapable pull of our shared human history. 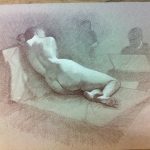 This is Kirsten’s third time to teach at Townsend Atelier. We are unable to give refunds for visiting artist workshops unless the workshop is canceled by Townsend Atelier.